Erik Prince is no stranger to the US military. After founding Blackwater (now called Academi) in 1997, Mr. Prince became a key player in the lucrative world of private security firms contracted by the US government in Iraq, Afghanistan and beyond. His company earned hundreds of millions of dollars through government contracts. Now he is in the midst of proposals to privatise much of the US presence in Afghanistan, America’s longest war. “At what point do you say a conventional military approach in Afghanistan is not working,” Mr. Prince, a former Navy SEAL, told USA Today. “Maybe we say that at 16 years.” A US-led invasion in 2001 pushed the Taliban out of power in Kabul, but many of the battlegrounds once won by American, British and allied forces are now firmly in the hands of the fundamentalist group. 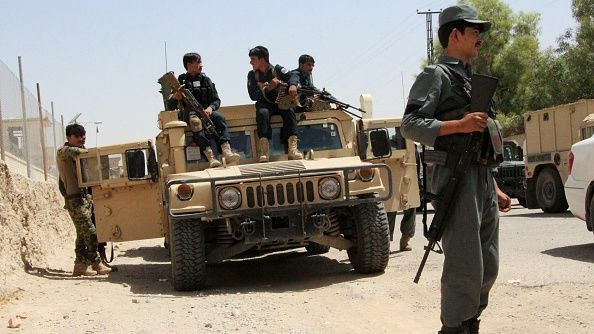 There are also reports the Taliban recently cooperated with the Afghan offshoot of Islamic State to capture an area west of the capital Kabul. Under the privatisation proposal, which according to media reports is still under serious consideration, 5,500 private contractors would advise Afghan combat forces. The plan also includes a private air force made up of 90 planes. The US military currently has 8,400 troops stationed in the country to train and assist local forces without a direct combat role. According to Mr. Prince, the plan, which would include contractors embedding with Afghan combat units, would cost less than $10 billion a year. Within the Trump administration, USA Today reports, national security adviser General H.R. McMaster and Secretary of Defence James Mattis are apprehensive, while chief strategist Stephen Bannon and other White House officials “appear open to using private contractors”. The debate around how to proceed in Afghanistan seems to have taken on more urgency as President Donald Trump has grown increasingly frustrated with the progress in the war. During a tense White House meeting, Mr. Trump reportedly suggested that General John Nicholson, the commander of US forces in Afghanistan, be fired as he was not winning the war. "We aren't winning," Trump complained, according to officials speaking to NBC News. "We are losing." John R. Allen, a retired US Marine Corps four-star general who commanded NATO forces in Afghanistan from 2011-2013, told The World Weekly, “large-scale privatisation of our military efforts in Afghanistan is unacceptable.” General Allen, now a senior fellow and co-director of the Brookings Institution’s Centre for 21st Century Security and Intelligence, added that the US has spent millions “helping the Afghans create a government alternative to the private security companies in the country, which were frequently part of the problem”. Blackwater’s controversial past was brought to the forefront again this month when a federal appeals court in the US overturned the first-degree murder conviction of former Blackwater employee Nicholas Slatten and ordered a new trial. Mr. Slatten, currently serving a life sentence, was a sniper stationed in Iraq tasked with protecting State Department officials. Prosecutors said he fired the first shots in a 2007 incident during which 14 Iraqi civilians were killed in Baghdad’s Nisour Square. In a different incident, four Blackwater contractors were ambushed and killed in Fallujah in 2004, an event that triggered two major battles against the insurgency in the city. Blackwater, which Mr. Prince sold in 2010, over the years came under investigation from multiple US authorities, including the Internal Revenue Service and the Bureau of Alcohol, Tobacco, Firearms and Explosives. After the negative publicity the company temporarily changed its name to Xe. In 2010 it paid $42 million in a settlement with the US State Department for export-control violations. For many observers the 2007 killings in Baghdad demonstrated a lack of systematic oversight of private security contractors and mechanisms to hold them accountable. “Relations in Iraq are still smarting from abuses of these kinds of organisations, just as they are in Afghanistan,” says General Allen. Erik Prince has defended Blackwater’s conduct, saying the company kept dignitaries safe and was unfairly targeted by authorities. Commenting on the 2007 killings, Mr. Prince claimed his employees were responding to hostile fire. He also argued that if Blackwater had been tasked with the security of the US ambassador in Libya, Christopher Stevens, killed in Benghazi in 2012, would still be alive. Amidst the debate over the potential privatisation of the US war effort in Afghanistan, government officials and analysts increasingly note that a lack of coherent strategy is hurting the situation on the ground. President Trump has not yet made a decision on whether to increase troop levels, a delay which reportedly took US commanders in Afghanistan by surprise. Seth Jones, an expert on the war in Afghanistan from the government-funded RAND Corporation, told Politico: “It’s important as soon as possible for senior administration officials to outline the importance of the region and why we have more combat troops in Afghanistan than in any other combat zone.” He argued that walking away from the conflict could get neighbouring states more involved. As TWW went to press, no decision had been made on whether private security contractors would gradually take over from regular troops. Mr. Prince will eagerly be waiting for the president’s decision.